Iraq's Prime Minister Adel Abdul Mahdi formed a new government on Thursday, five months after a nationwide parliamentary election, but critics say the presence of militia-affiliated politicians in the cabinet suggests he fell short of promises to run a technocratic government stocked with fresh faces. 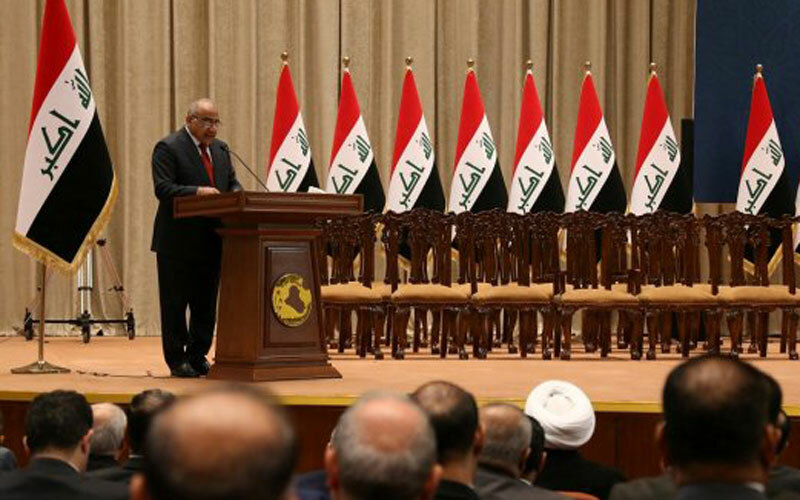 Iraq‌s new Prime Minister Adel Abdul Mahdi was sworn in on Wednesday with only a partial Cabinet after lawmakers failed to reach a consensus on key postings including interior and defence. A rowdy parliament session to approve Abdul Mahdi‌s government list created more uncertainty for Iraq, months after an inconclusive election, with parties and blocs wrangling over appointments. Eight ministries have yet to be decided, ahead of a Nov. 2 deadline. Ghadhban replaced Jabar al-Luaibi, who was recently made head of the new National Oil Company. Ghadhban helped resuscitate a flagging oil industry after the U.S.-led invasion of Iraq that toppled Saddam Hussein in 2003. He was interim oil minister from 2004-5 and a former energy advisor to outgoing premier Haider al-Abadi. But lawmakers from Moqtada al-Sadr‌s bloc Saeroon, Abadi‌s Nasr Alliance, Vice President Ayad Allawi‌s Wataniya, and Sunni Muslim blocs left the room before voting on the remaining eight posts could take place. The U.S. invasion of Iraq in 2003 and subsequent sacking of all of Saddam‌s Baath party officials stoked sectarian tensions, which then exploded into civil war. Under a de facto power sharing agreement, Iraq‌s presidency is now traditionally held by a Kurd, the premiership by a Shi‌ite and the parliament speaker is a Sunni.